Seekh kebabs are the succulent kebabs made from minced meat,herbs and spices which are put on the skewers and grilled till golden brown.This dish is served hot with lemon and chaat masala sprinkled on it and green chutney as a side sauce. Preheat the oven on 325 degree F.
Put the Minced chicken/ keema in the strainer and drain off the excess water. Mix all the above ingredients to the mince/ keema and knead well with a wooden spoon or by hand. Keep it refrigerated for at least half and hour. Now with wet hands take a big ball of mixture and press it in the skewer and elongate it throughout the skewer. To give a colourful look press finely chopped coloured peppers to the kabab. Brush the kebabs with ghee or oil and set it in the oven tray . Place the tray in the preheated oven. Rotate the skewers quiet often and cook till done. Take out from the oven and let it stand for some time. Remove the kebabs from the skewers (optional ). 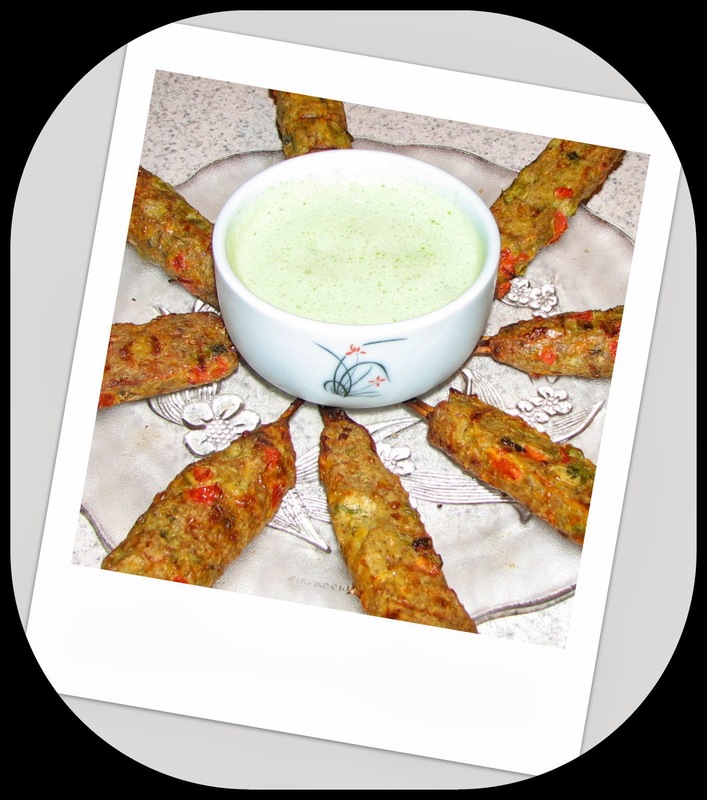 Serve hot with green chutney and raita. You can add fried onions to the mince to avoid the raw taste.fried onions will give a distinct taste. 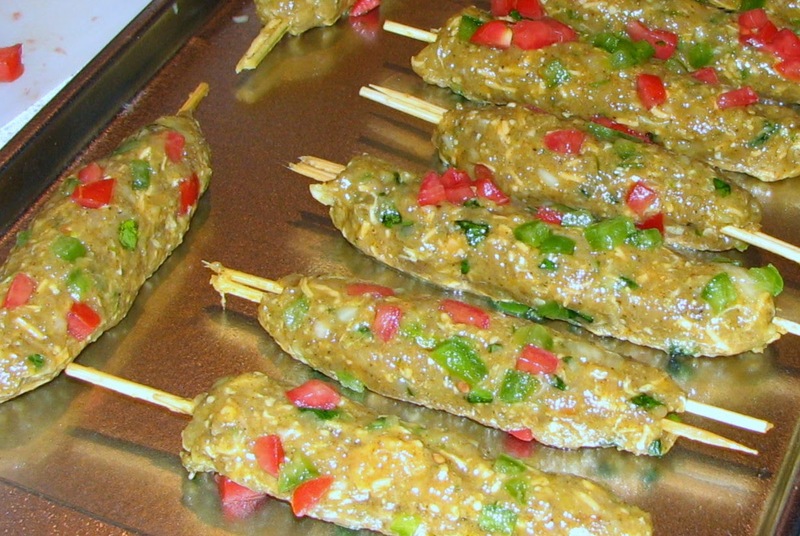 Let stand the kebabs after taking out of the oven and let it cool before removing it from the skewers.